Announces patents on radically simple Joule Printing™ technology for high-speed metal additive manufacturing. 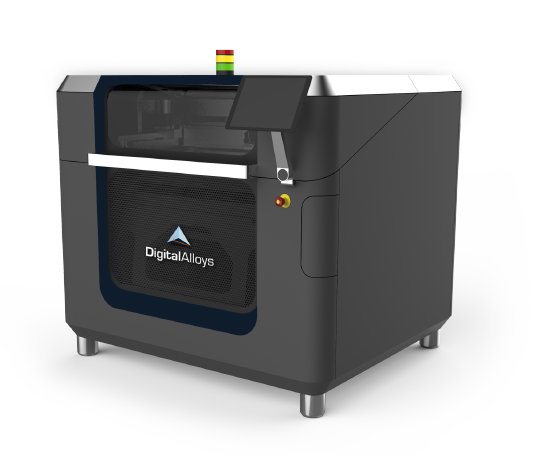 BURLINGTON, MA – (August 7, 2018) – Digital Alloys, Inc., provider of the fastest way to make the hardest parts, today announced a $12.9M Series B financing led by G20 Ventures and joined by Boeing HorizonX Ventures, Lincoln Electric, and prior investor Khosla Ventures. Digital Alloys also announced two US patents for its Joule Printing™ metal additive manufacturing technology, a radically simple new process that uses wire feedstock and high deposition rates to print the hardest metal parts faster and at lower cost than any other solution. Initial applications of the technology include the production of conformally cooled tools for the automotive and consumer products industries, and the delivery of high-quality titanium parts for the aerospace industry. For manufacturers of hard metal parts, additive manufacturing with Digital Alloys’ radically simple Joule Printing™ delivers the highest speed and lowest cost. The company is led by an experienced management team, and backed by Boeing, Lincoln Electric, Khosla Ventures, and G20 Ventures. For more information visit www.digitalalloys.com. Boeing HorizonX uncovers and accelerates potentially transformative aerospace technologies, manufacturing innovations and emerging business models. The Boeing HorizonX Ventures investment portfolio includes startups specializing in autonomous systems, energy and data storage, advanced materials, augmented reality systems and software, machine learning, hybrid-electric and hypersonic propulsion, additive manufacturing and Internet of Things connectivity. Learn more at www.boeing.com/horizonx. Lincoln Electric is the world leader in the design, development and manufacture of arc welding products, robotic arc welding systems, plasma and oxy-fuel cutting equipment and has a leading global position in the brazing and soldering alloys market. Headquartered in Cleveland, Ohio, Lincoln has 63 manufacturing locations, including operations and joint ventures in 23 countries and a worldwide network of distributors and sales offices covering more than 160 countries. For more information, visit www.lincolnelectric.com. G20 Ventures provides early traction capital for East Coast enterprise tech startups, backed by the power and expertise of 20 of the Northeast’s most accomplished entrepreneurs. For more, visit www.g20vc.com.